2 days ago a report was released by Melbourne Water stating that Melbourne could face a very significant water crisis in the next 10 years as water demands increase with the cities population and climate change gives us longer, hotter summers. The findings of that report are that we all need to treat the city and our buildings as water catchments and recycle water where possible. At Ultraspin, each and every system that leaves our factory passes a rigorous Factory Acceptance Test (FAT) as part of the pre-commissioning process. 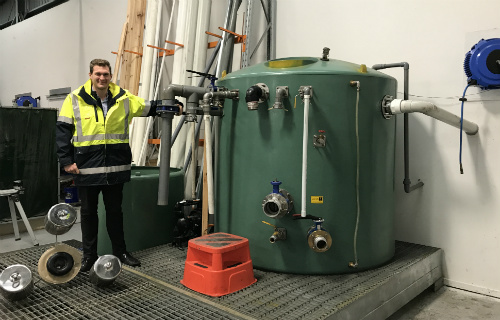 This pre-commissioning ensures that when the separator arrives on site, installation is as simple as possible and there no doubts of the performance of the separator. 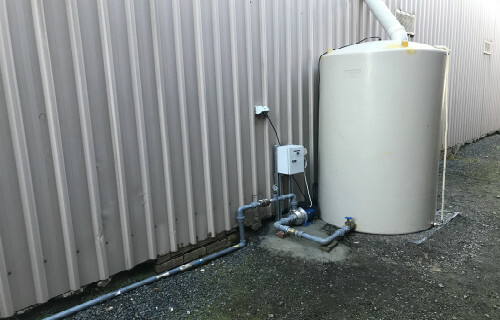 Given our systems treat water, the only way to complete a stringent test is to run water through the system and this testing can use up thousands of litres in a very short space of time. The core aim of Ultraspin and the separator technology we’ve developed is to assist our customers to minimise their environmental footprint. While we know our equipment makes a massive difference in the world, for us that’s not enough. We want to ensure that we’re producing our world class oil water separators with as little environmental impact as possible. As part of the FAT we run each system on our purpose build, wet test bay, which is capable of water flow of 50 m3/hr. We also perform hydrostatic pressure tests on all of our vessels in accordance with AS1210. When performing these tests we aim to minimise our water consumption as much as possible by recycling the water in our test bay. Today we take that one step further… our wet test bay is now completely operating on rainwater harvested from our factory roof. 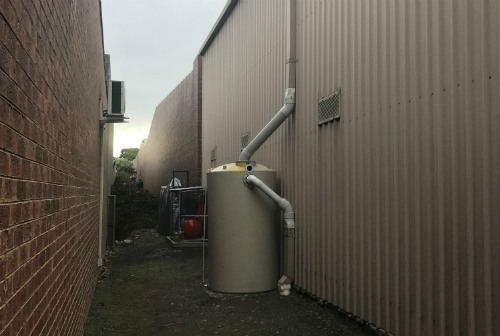 A capture tank intercepts the water coming down the gutter and when the level in this tank reaches a set point, we transfer this water inside directly to our test bay tank. If either tank overfills for any reason, they’re both set up to overflow excess water back to the gutter downpipe. The design allows for further slimline tanks to be installed to increase capacity as required in the future. So when you buy an Oily Water Separator from Ultraspin you can be sure that the environmental impacts have been considered through every step of the design, assembly, and testing. Feel free to pop by for a tour of our rainwater harvesting system and to see the Ultraspin equipment operating on fresh water taken straight off our roof! Contact us to see what’s going on at our production facility.